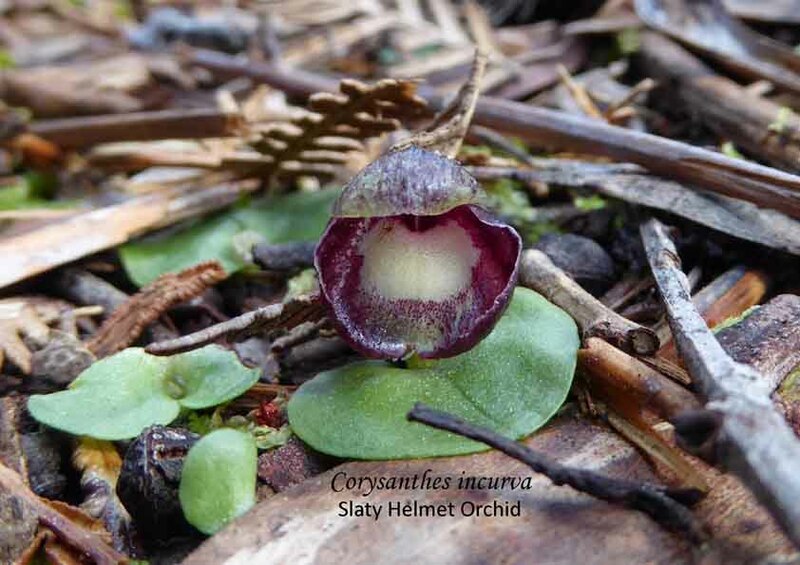 The following article is the beginning of a series of discussions on identifying features of various orchid species/genera. A previous blog (see here) referred to the importance of the column in Thelymitra but did not give details of the parts of the column which is the subject of this blog. The columns in a Thelymitra (Sun Orchid) may be one of the main identifying features of a sun orchid and so this article looks at those features that botanists will often refer to in their descriptions. Though we cannot physically dissect an individual flower, we can make use of photographs to spot the various features. The diagram below is that of T. ixioides (based on the taxonomy of 1984) column whilst the photographs are that of T. juncifolia column (as T. ixioides is now considered to be limited to the eastern states). The column of these two are similar. One photograph will not give all of the features hence in this article the three photographs show all of the features except the viscid disk where the pollinia is stored. The stigmatic plate is sticky and receives the pollen for fertilization. Most of the variations between the Thelymitra columns occur within the upper portion of the column. The post anther lobe can be quite varied. For instance, with T. ixioides/T. juncifolia the post anther lobe is not hooded. Some with hoods may have deep splits, whilst others form a broad fringe. Yet again, others have variations within the column arms such as having no cilia. This will be dealt with in further articles. 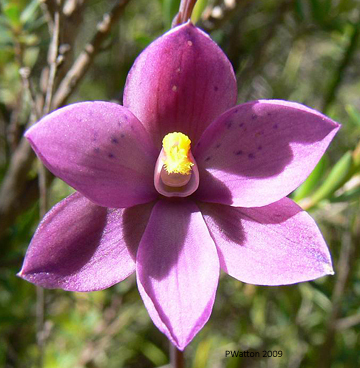 This week, a local radio station introduced a segment with the phrase “our rarest sun orchid” and that it was called Thelymitra irregularis or Spotted Pink Sun Orchid. However it certainly is not our rarest sun orchid. True, it is not common, but that is partly because it is a hybrid and, correctly speaking, the name should be written as Thelymitra x irregularis (the “x” indicates that it is a hybrid). For a hybrid to occur, the two parent species need to grow in close proximity, the flowers need to open at the same time that the pollinator is visiting flowers, either to collect or to deposit the pollen and, in the case of self pollinating species, before the individual flower has pollinated itself. The majority of hybrids are sterile, but occasionally some are fertile. When hybrids occur the majority will only last a few years before disappearing although sometimes colonies are formed which may last for decades. Hence, it is not usual to name hybrids, but the more common and recurring ones have been named formally. T. x irregularis is one of them. Several species of Thelymitra have been proposed as parent species of Thelymitra x irregularis. Jeanes & Backhouse (2006) give T. ixioides and T. carnea as parents; Weber & Entwisle (1996) and Jones (2006) suggest T. ixioides and T. carnea and/or T. rubra; Bates & Weber (1990) state that in South Australia the parents are T. ixioides and T. rubra, but T. ixioides and T. carnea in the Eastern states; in contrast, Bates (2011) states that in South Australia it is a hybrid between T. juncifolia and T. rubra. However, without detailed genetic studies or breeding experiments these all remain suggestions. Due to the transient nature of hybrids and the conditions needed to produce them, the named hybrids are not common, but since the 1890s specimens of Thelymitra x irregularis have been collected in every decade, which suggest that this hybrid readily occurs. The 71 specimens held in the Australian herbaria have been collected from four states – which gives a good indication of the distribution but not necessarily the frequency of occurrence. See Australia’s Virtual Herbarium (AVH) for details. The AVH lists 12 herbarium records for South Australia with specimens collected from the Adelaide Hills, the Barossa Valley, Kangaroo Island and near Naracoorte. The botanical name “irregularis” refers to the description of the column. With many sun orchids, it is often necessary to observe the column to distinguish one species from another. In this instance the top of the column is irregularly toothed. Retired Aussie has some very good photographs with one in particular showing the column detail. Thanks to Juergan Kellermann, State Herbarium of South Australia for his help with this post. Bates & Weber (1990). 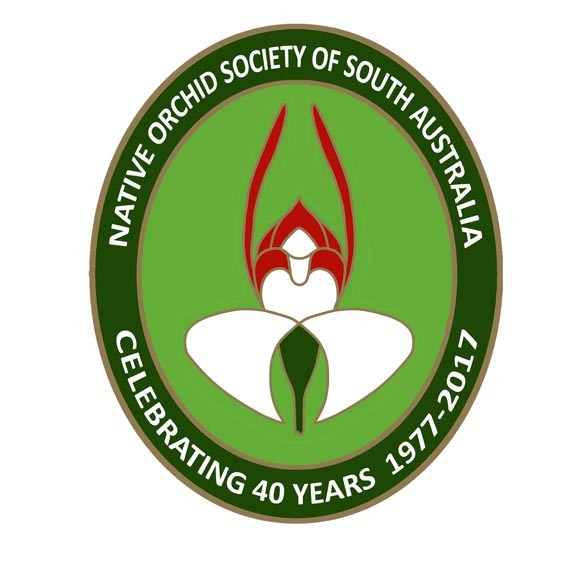 Orchids of South Australia. Jones (2006), Native Orchids of Australia, 2nd edn. Weber & Entwisle (1996). Thelymitra. In: Flora of Victoria, Vol 3.